America tried to let Hillary Clinton off the hook. Despite cries of “lock her up” during the campaign, most of the nation had little appetite for prosecuting her after the election, with even Donald Trump willing to give her a free pass. But the Clinton e-mail scandal, like Clinton herself, won’t go away. 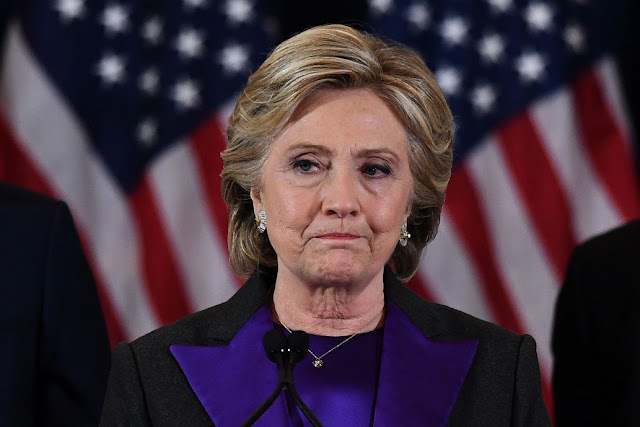 It remains a blot on the legacy of the Obama administration, the Justice Department and the FBI, and now comes fresh evidence that the investigation that cleared her was a total sham. So it is with the FBI probe of Clinton. The new evidence, Trump said in a tweet, is proof of a “rigged system!” There is no better way to describe it. There is only one possible cure for this kind of rot — a special counsel charged with reopening the Clinton e-mail case and the actions of Comey and Attorney General Loretta Lynch. Two dozen House Republicans demanded a special counsel in July, and the chorus is certain to grow because of testimony showing Comey made his decision long before the probe ended. The testimony came from two top officials under Comey when he headed the FBI, one of them his chief of staff, Jim Rybicki. It was made during an internal probe of Comey’s conduct, which was stopped when Trump fired him in May. Both officials said under oath that Comey circulated the first draft of a statement clearing Clinton in April or May of last year, even though Clinton wasn’t interviewed until July 2. Just three days later, Comey publicly cleared the Democratic nominee of any criminal charges. “Conclusion first, fact-gathering second — that’s no way to run an investigation,” Republican Sens. Chuck Grassley of Iowa and Lindsey Graham of South Carolina charged in a bombshell letter to the FBI that included excerpts of the previously secret testimony. They demanded the bureau turn over all drafts of Comey’s statement and other documents related to the final decision. The development is more proof that Comey was not the Boy Scout he pretended to be. As I have written, he learned well the lesson of J. Edgar Hoover that gathering dirt on top officials, including presidents, was the best job security. But Comey made big mistakes, and the new evidence offers a clear suggestion he lied to Congress on at least one occasion. Politico reports that, at a House hearing a year ago, while Barack Obama was still president, Comey denied any decision had been made not to charge Clinton before she was interviewed. He could make those assertions secure in the Washington wisdom that Clinton would win the election and the issue of his conduct would never see the light of day. After all, he would have all the dirt on her. But Trump’s victory changed everything, and by early May, Comey was telling Congress he had lost faith in Attorney General Lynch last year because of her tarmac meeting with Bill Clinton in Phoenix. He had never before raised such concerns. He changed his tune again after Trump fired him, telling Congress he kept detailed notes of his meetings with Trump because he didn’t trust him. He admitted leaking those notes to the media in hopes it would lead to the appointment of a special counsel to investigate Trump. He succeeded, and the investigation by Robert Mueller is ongoing, and hardly a day goes by without a leak about who in Trump’s circle has been summoned to a grand jury. Perhaps conveniently, a new leak emerged Thursday, saying Mueller got copies of a draft letter that reflected Trump’s reasons for firing Comey. Could the timing of the leak have anything to do with the release of the Grassley-Graham letter the same day? It is a reflection of the peculiarities of last year’s campaign that a special counsel on Clinton would be the ultimate in fair play. Because the FBI investigated both Clinton and Trump during the election, a special counsel for Clinton would perfectly complement Mueller’s probe of Trump. Presumably, an equal number of leaks will be part of the deal. Think of it as a sequel to 2016. And maybe someday America will learn what it did to deserve an election that refuses to get off the stage.